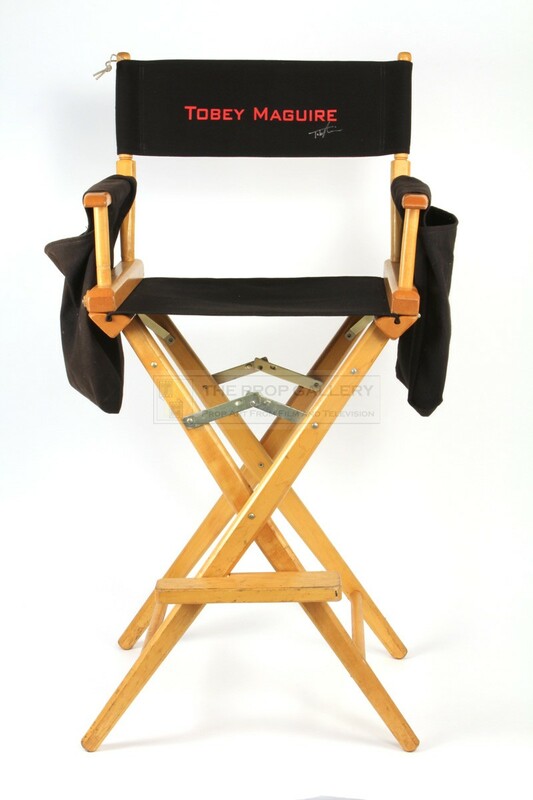 An original directors chair used in the production of Spider-Man, the 2002 superhero picture starring Tobey Maguire, Willem Dafoe and Kirsten Dunst. 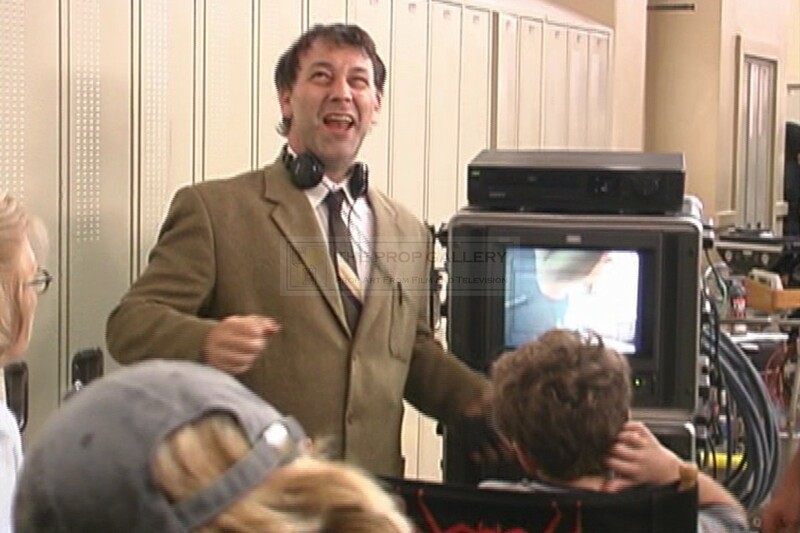 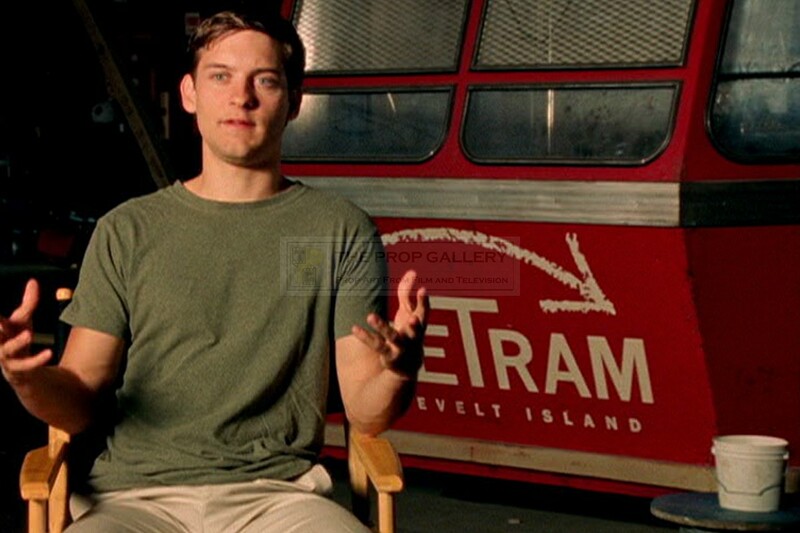 This directors chair was utilised on set during the production by first assistant director Eric Heffron with the chair back and seat those used by Tobey Maguire who portrayed Spider-Man. 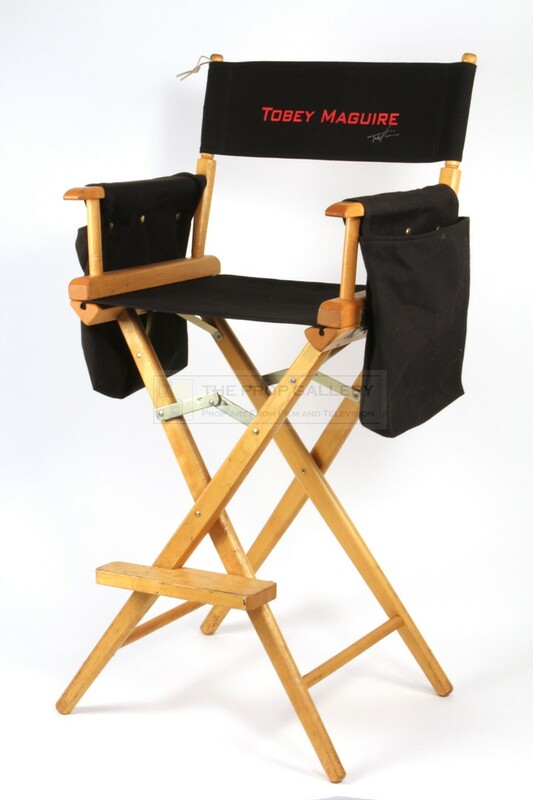 The traditional style folding directors chair is constructed from wood and features a foot rest, canvas side pockets, seat and chair back which slides over the top pegs after the chair has been erected. 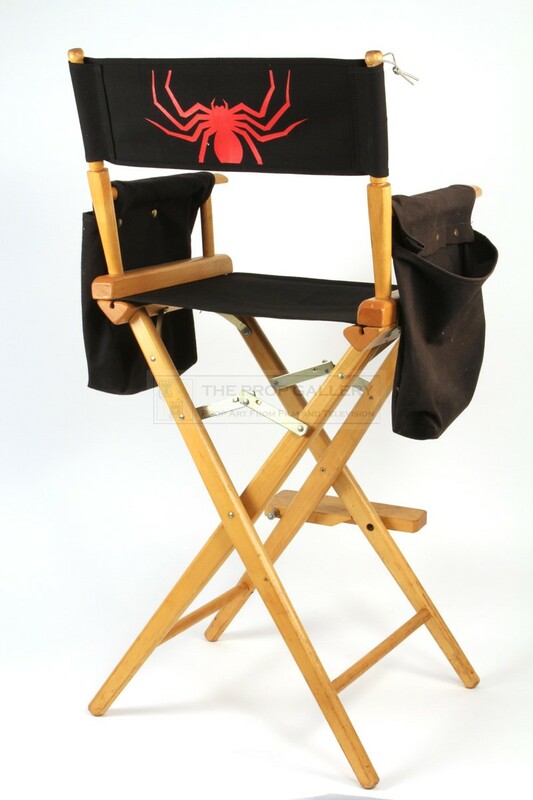 The chair back features a large red spider to the back with Maguire's name to the front and has been hand signed by him in silver marker pen. The directors chair stands an impressive 46" high and measures approximately 23" across the arms, it remains in excellent production used condition with some scratching to the finish as you would expect given its prolonged use on set, the canvas elements remain in excellent condition throughout, very fine. 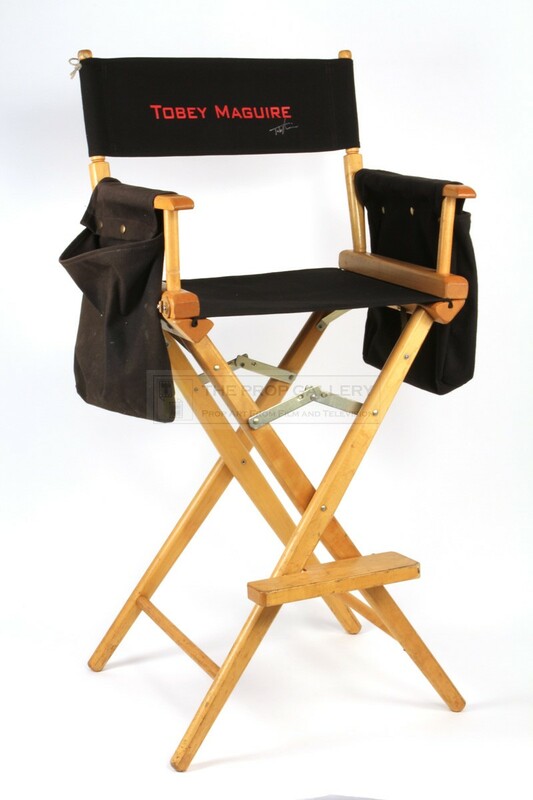 A highly displayable artefact from this well received box office smash and a fine example of an original directors chair, an image synonymous with the film industry.